Practicing proper search engine optimization can be difficult for a busy online business owner, especially one that does not have extensive knowledge in internet technology. Search engines use very complex algorithms to index content and judge it’s usefulness. Although these algorithms are complex, their main functions can be summed up fairly easily. Search engines look for specific patterns and then base their results on these patterns. The patterns they search for are located within the sites content, both on-page and internally. Everything from anchor text to meta tags gets indexed in a very short period of time and then used to determine the sites page ranking. Manually keeping up with all of this information can be almost impossible for the average site owner. For this reason there are tools that can be used to automate the process of properly optimizing the internal structure of a website. If you know anything about content management systems then I am sure you are familiar with WordPress by now. WordPress was originally a blogging platform but is now the world’s most popular content management system. The entire process of building and maintaining a website can be simplified within WordPress. 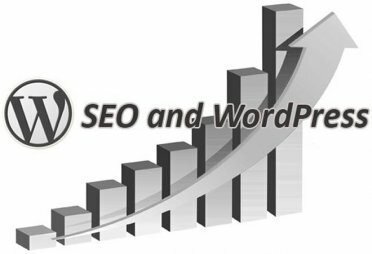 It is not surprising then that WordPress can also assist you in proper search engine optimization. WordPress itself cannot optimize you site for the search engines, but with the help of plugins and a few preferential adjustments, you can have your site’s internal content automatically structured for maximum benefit. One of the ways you can get more search engine traffic to your site or blog within WordPress is by changing the link structure in the permalink section of your WordPress admin. Once you’re in the permalinks section select the bubble that says “Custom Structure.” Here you can enter a variety of commands that will dictate how the URL of your pages will look. It is important to note that the structure of a URL is very important to the search engines, as it affects the result of a search query. If you’re naming your posts based on keywords, then you are wasting your time unless your URL structure shows your post name. In order to get the most out of your search engine optimization efforts you need to change the link structure to /%postname%/. Now if your post name is “ Post Name” then the URL for that post will be “Yourdomain.com/postname.” This way one someone searches for the keyword “Post Name” your site stands a better chance of showing up at the top of the search engines. Another way to enhance your search engine optimization efforts in WordPress is to use that plugins that automatically optimize your sites tags, meta tags, anchor texts, link structure, site maps, and other aspects. A good plugin to have which is free is the Platinum SEO pack. This plugin will automatically optimize each page and post to give it a maximum impact on the search engines.